Elaine R. Mardis, PhD, delivers her presentation on “Cancer genomics: A translational future” at the opening plenary session of the AACR Annual Meeting 2016. 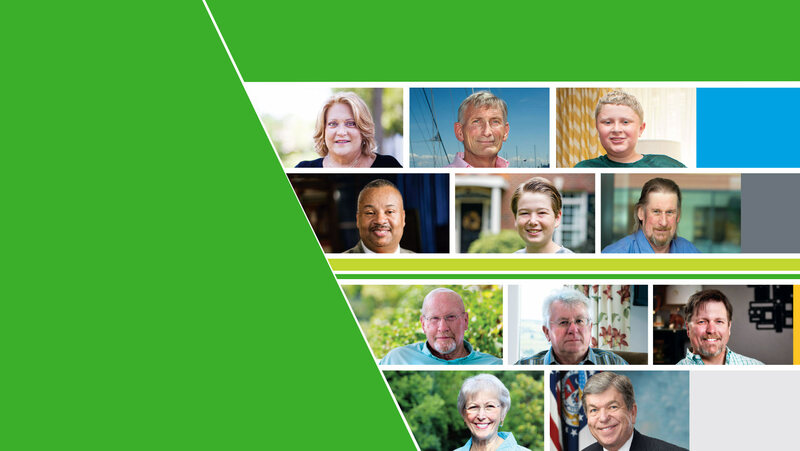 The AACR Annual Meeting is the critical driver of scientific progress against cancer. For the fourth consecutive year, the meeting hosted a record number of attendees. More than 19,400 scientists, clinicians, patients, and advocates from 74 countries gathered in New Orleans to define and discuss the frontiers of innovative cancer science for the benefit of cancer patients. The host city for the 2016 Annual Meeting—New Orleans, Louisiana—is burdened with high cancer incidence and mortality. The AACR reached out to patients, advocates, and other members of the New Orleans community to address this burden with an educational event titled “Progress and Promise against Cancer.” Moderated by AACR President Nancy Davidson, MD, the event featured respected speakers from the Annual Meeting program and local experts from cancer centers educating local residents on topics such as cancer health disparities, prevention, clinical trials, and immunotherapy. 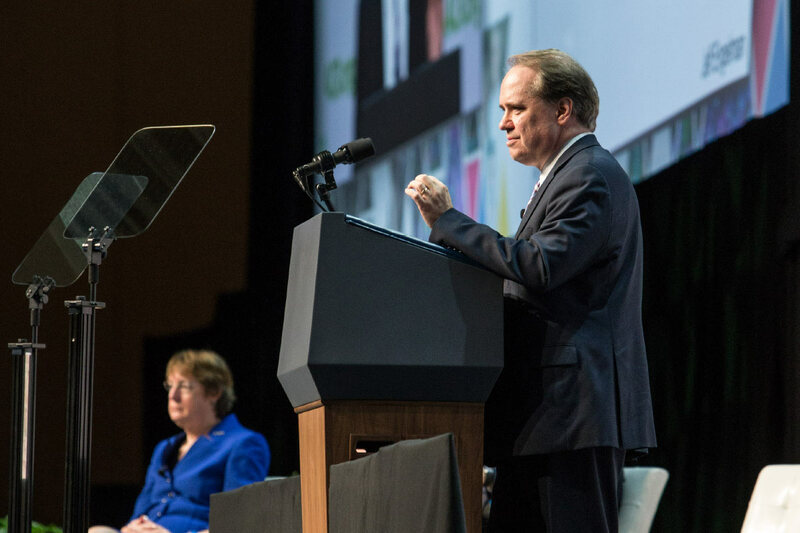 The Annual Meeting also showcased the AACR’s pivotal role in the National Cancer Moonshot Initiative. 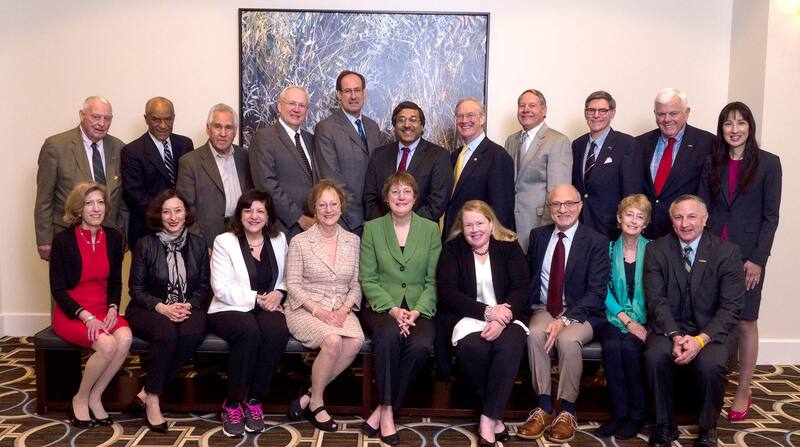 The National Cancer Advisory Board’s Blue Ribbon Panel on the Cancer Moonshot held its first in-person meeting at the Annual Meeting, as most of the panel’s members had gathered with the cancer community in New Orleans. 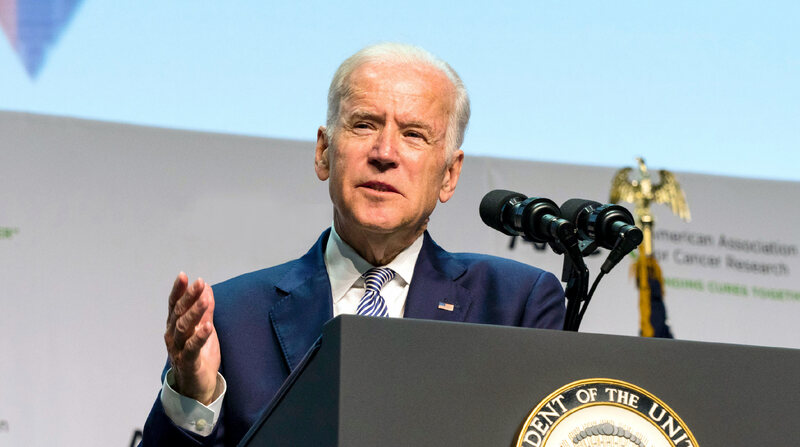 In addition, Vice President Joe Biden addressed more than 4,000 attendees on the final day of the meeting, thanking them for their dedication to the cause of “ending cancer as we know it.” The Vice President discussed the importance of removing political barriers, fostering collaborations and data sharing, and realigning priorities in cancer research to better serve patients. 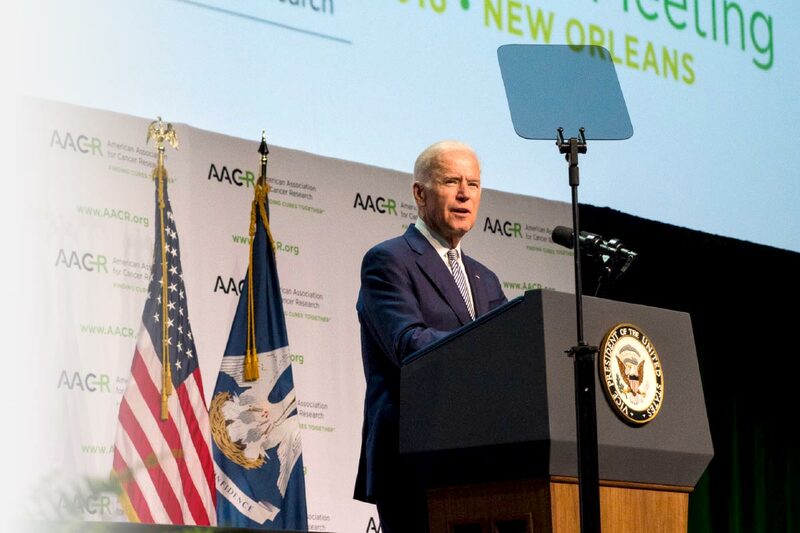 Biden told the AACR members and other Annual Meeting attendees that "there is more brain power in this room than exists in many countries…. We need you," he added. "You're the very best we have." Jeffrey A. Engelman, MD, PhD, discusses “The evolution of cancer in response to targeted therapies” at a plenary session during the AACR Annual Meeting 2016. 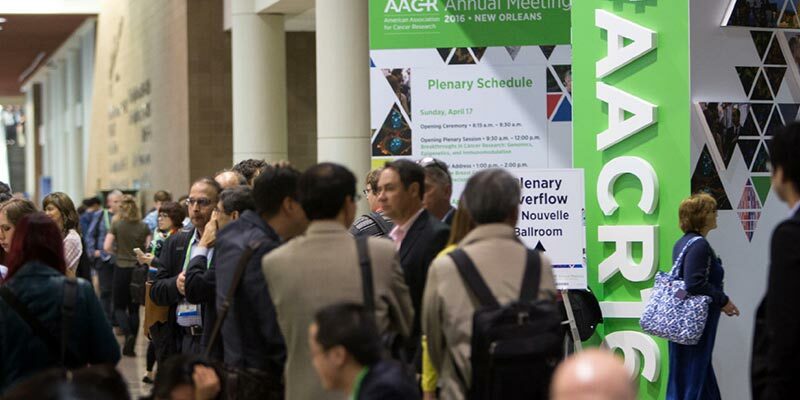 The theme of the AACR Annual Meeting 2016, Delivering Cures through Cancer Science, emphasizes how advances in patient care and public health are dependent on discoveries in all areas of cancer research. 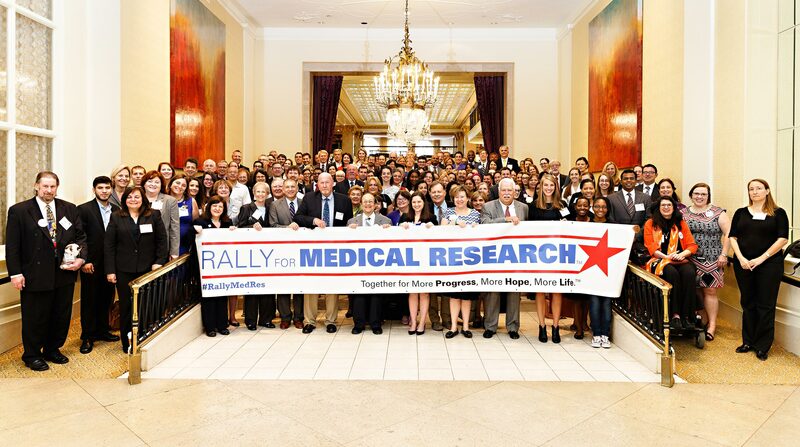 In keeping with this, the multidisciplinary program featured researchers from across the continuum of cancer research and representing all stages of a research career. 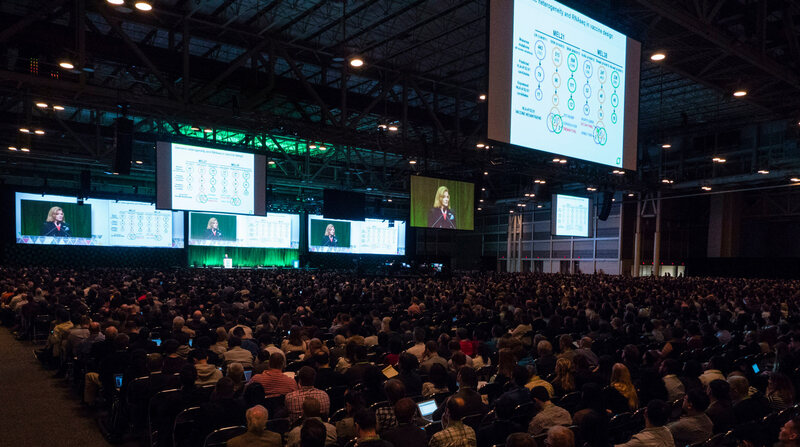 Highlights of the cutting-edge research presented at the meeting were summarized by AACR leaders in a wrap-up plenary session. During the closing plenary, Scott A. Armstrong, MD, PhD, chair of the 2016 Annual Meeting Program Committee, discussed key basic and translational research presentations. He opened by focusing on several presentations in the field of epigenetics, i.e., research into mechanisms that control gene expression. Some of these presentations outlined new insights into the ways in which disruption of epigenetic mechanisms controlling gene expression can lead to activation of oncogenes—genes that have the potential to cause cancer—while others focused on the potential for therapeutic targeting of epigenetic gene-control mechanisms. Armstrong also highlighted a number of genomics research presentations investigating the genetic diversity among different cells isolated from a single cancer. He emphasized the critical value of mapping this genetic heterogeneity and understanding how it evolves because the information is vital to identifying optimal therapeutic targets. 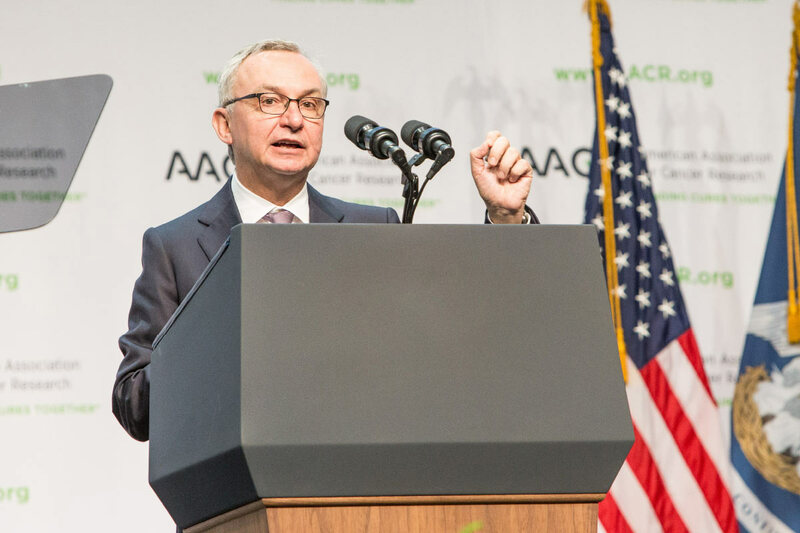 José Baselga, MD, PhD, FAACR, 2015-2016 AACR president, gave an overview of some of the groundbreaking clinical research presented at the meeting, focusing on three main areas. He opened by highlighting a prospective clinical trial that he said had the potential to change clinical practice. The trial, which was presented in a clinical trials plenary session by Martine Piccart, MD, PhD, showed that using the MammaPrint genetic test can reduce the use of adjuvant chemotherapy (chemotherapy given postsurgery) among early-stage breast cancer patients. The second topic addressed by Baselga was the use of new investigational precision therapeutics to target cancers fueled by specific gene alterations. In particular, he highlighted results from two early-stage clinical trials showing high response rates among patients with cancers fueled by TRK gene alterations after treatment with TRK-targeted therapeutics. Baselga wrapped up his comments by reviewing a number of presentations detailing the promise of immunotherapy for treating patients with an increasing number of types of cancer, including head and neck cancer and Merkel cell carcinoma. 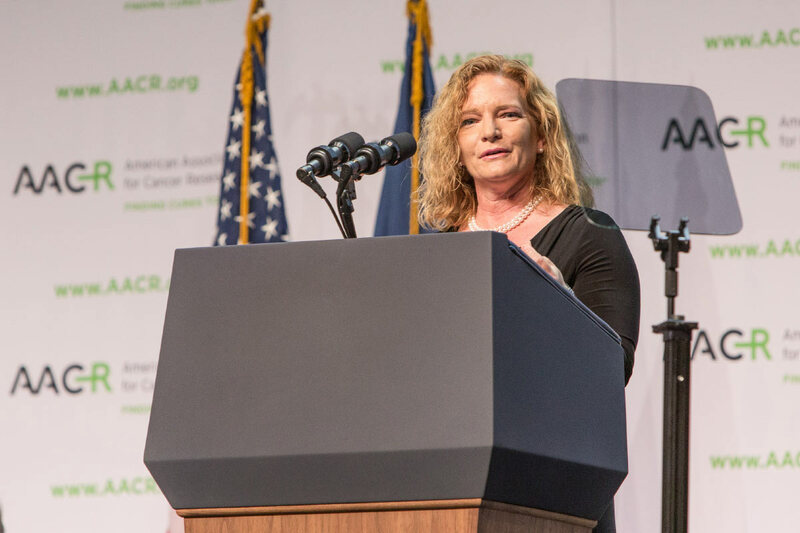 Elaine R. Mardis, PhD, a member of the AACR Board of Directors, highlighted a range of presentations on cancer prevention and early detection research. 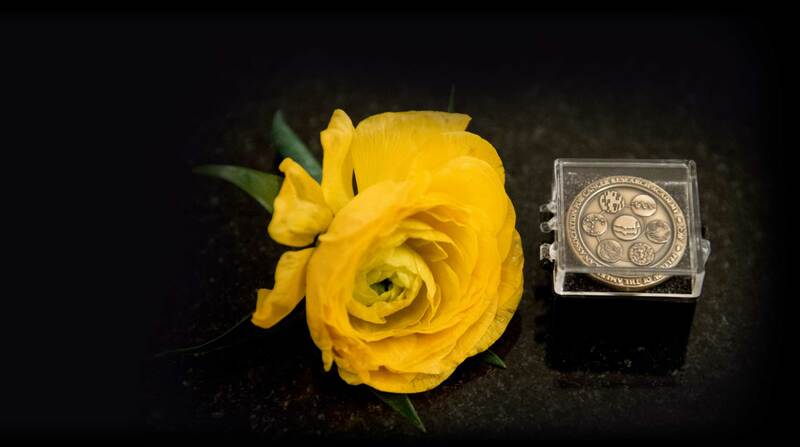 She opened by focusing on several presentations of studies using new technologies to enhance early detection. Among these presentations were several that focused on detailing the genomic mutations that characterize precancers at several anatomic sites, understanding how these genomic landscapes differ from those of invasive cancers at the same sites, and investigating whether the genomic changes that signify precancer’s progression to invasive cancer can be detected by liquid biopsies. Mardis then discussed a presentation about a low-cost, high-resolution microendoscope imaging system that researchers have shown can accurately identify precancerous lesions of the cervix before concluding her comments by highlighting a forum on the nascent field of digital exposomics. Mardis explained that digital exposomics refers to the digital measurement of environmental exposures and other personalized metrics during critical or general periods of life and to the linking of these data to molecular changes with the overarching goal of understanding how environmental exposures affect risk of developing cancer. 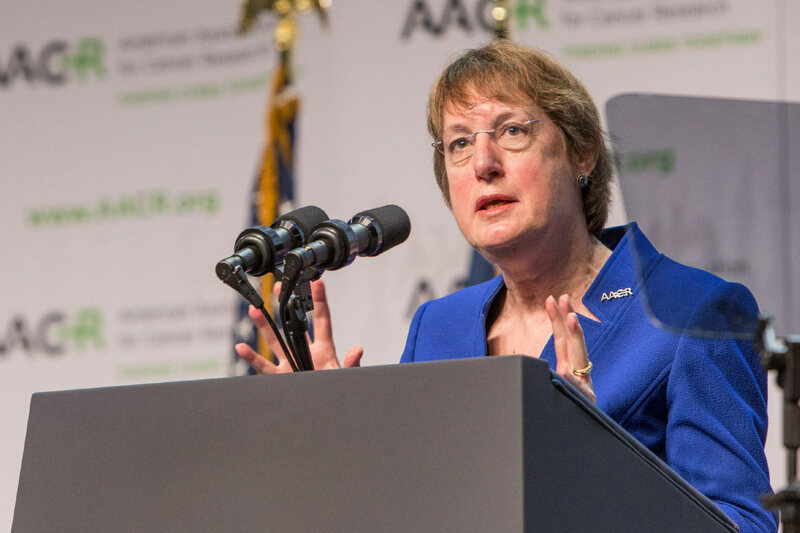 Nancy E. Davidson, MD, 2016-2017 AACR president, concluded the session by highlighting four ways in which we can rise to the challenge presented by the increase in global cancer incidence: identify new approaches to cancer prevention; advance efforts in cancer screening and early detection; develop new and better ways to treat patients; and optimize the use of the tools we already have for cancer prevention, detection, diagnosis, and treatment. 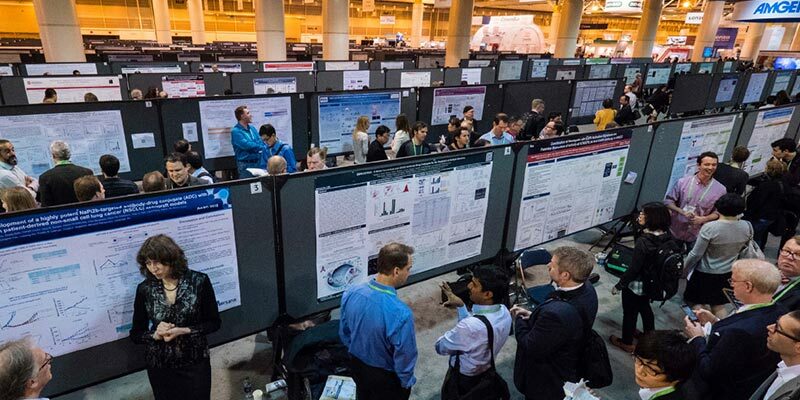 Scientists discuss their work with other Annual Meeting attendees during the poster sessions. People attended the meeting. 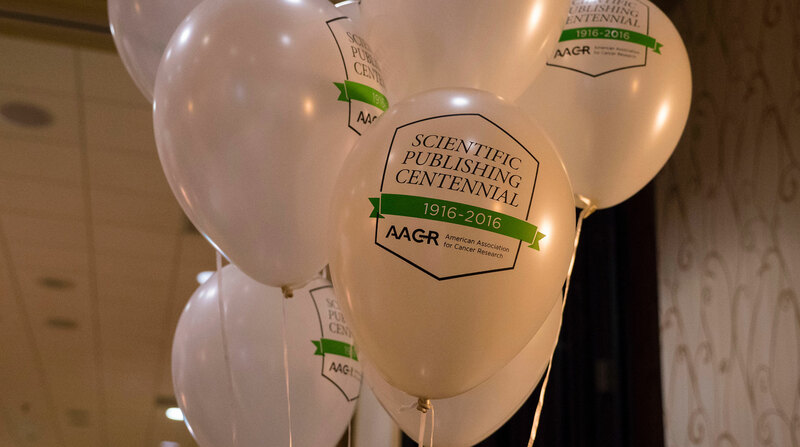 The Annual Meeting 2016 was the largest in the history of the AACR. Countries were represented at the meeting, including seven countries in Africa. 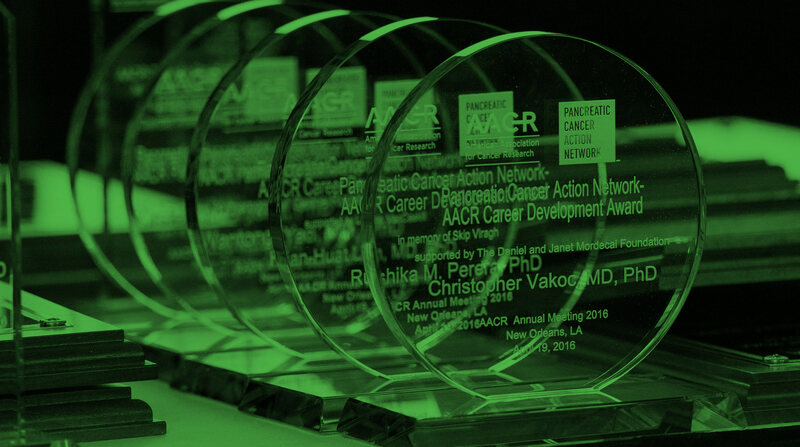 The inaugural AACR Travel Awards for African Cancer Researchers supported the attendance of five African investigators at the meeting. Papers were presented in poster sessions or minisymposia. 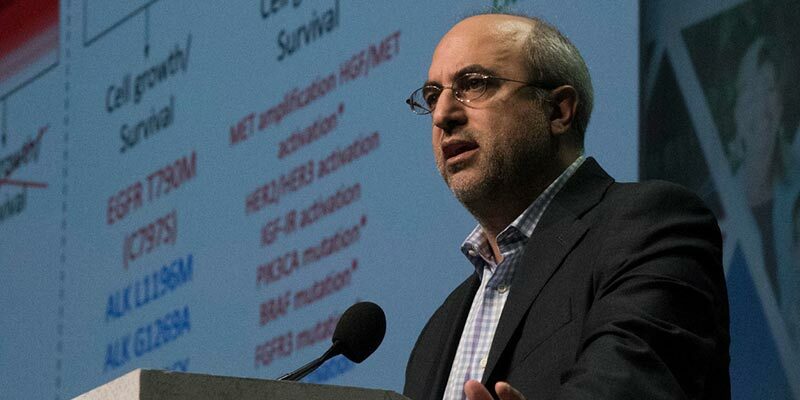 Scientific sessions showcased the latest cancer science, including 48 major symposia, five plenary sessions, and 30 recent advances sessions focusing on breakthroughs in prevention, diagnostics, therapeutics, and organ site research. 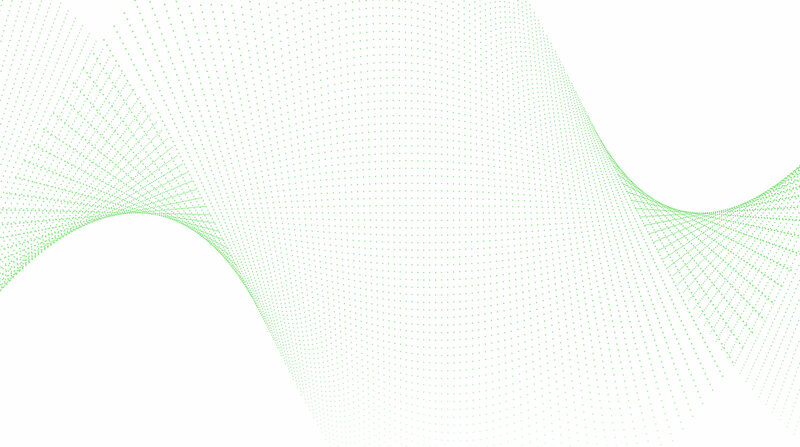 The program also promoted discussion of open questions in cancer science. In addition to 11 forum sessions on controversial issues facing investigators, the 2016 Annual Meeting featured a new Cancer Dialogue session titled “Maximizing Cancer Cures: How Do We Get There?”. 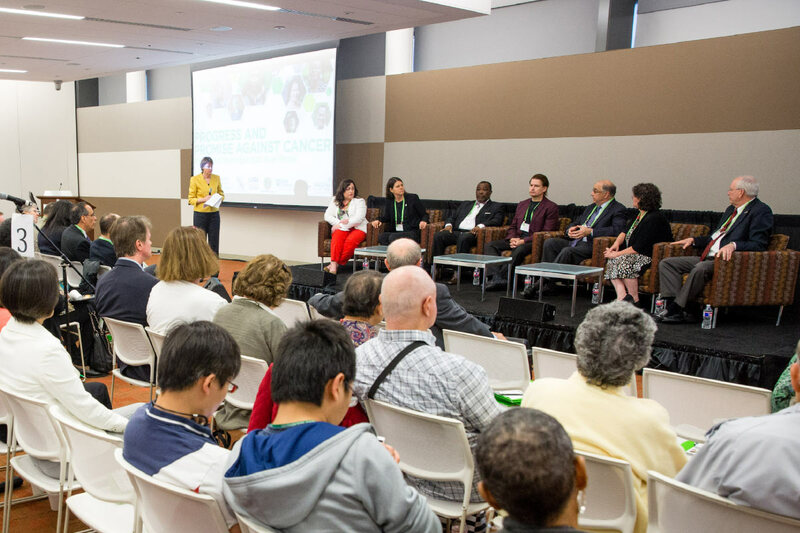 Moderated by 2015-2016 AACR President José Baselga, MD, PhD, FAACR, the session featured a panel of experts from academia, industry, and government discussing the challenges and opportunities that face the cancer research community. 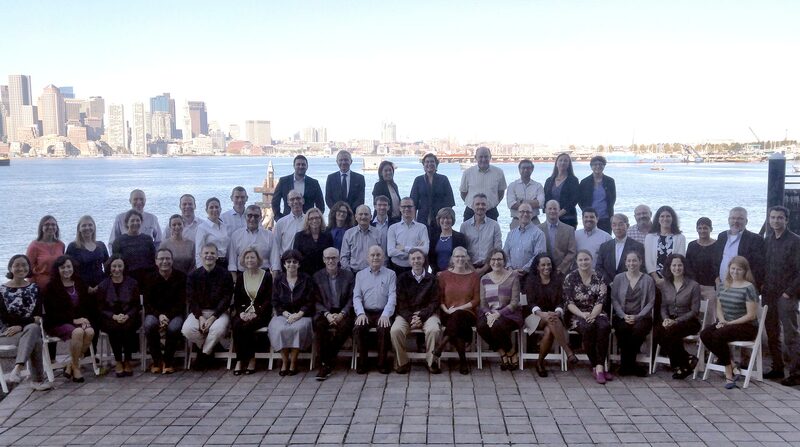 Regulatory science and science policy sessions held during the meeting. 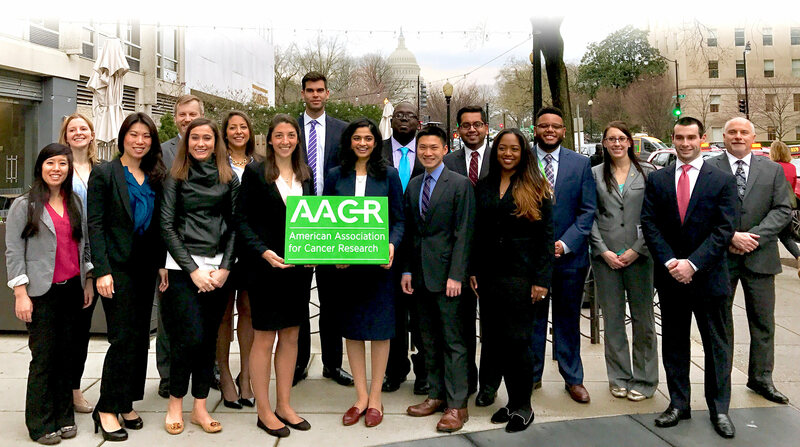 The AACR’s Office of Science Policy and Government Affairs brought together regulators and academic and industry scientists to discuss ways to streamline the drug discovery and development pipeline. 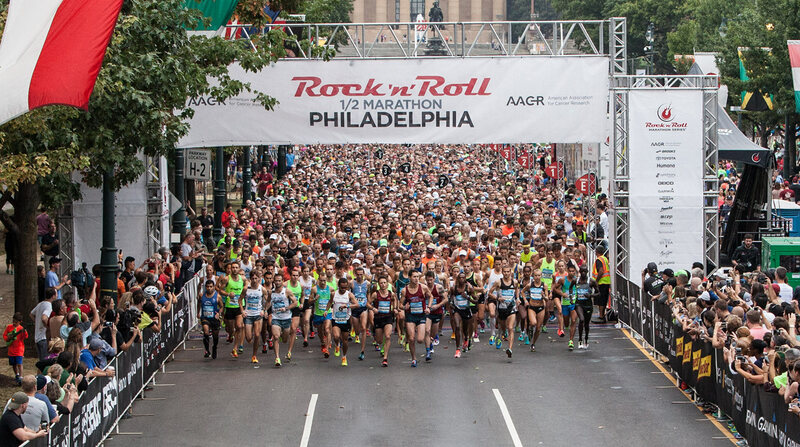 Clinical trials were presented, the largest number of trials ever presented at an AACR Annual Meeting. 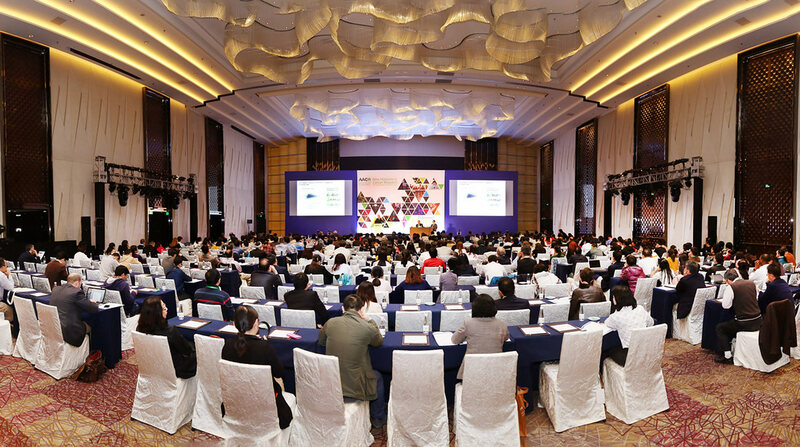 Several high-impact trials were presented in four special plenary sessions, including two trials with the potential to change clinical practice. The results of the MINDACT trial demonstrated that the MammaPrint genetic test can identify early-stage breast cancer patients for whom adjuvant chemotherapy is not necessary, improving their quality of life after surgery. The results of the CheckMate-141 trial indicated that treatment with the immunotherapeutic nivolumab (Opdivo) improved survival for patients with recurrent or metastatic head and neck squamous cell carcinoma that progressed after platinum-based chemotherapy, as compared with single-agent chemotherapy. These results—which were first disseminated to the cancer community at the AACR Annual Meeting—led to the November 2016 FDA approval of nivolumab for treating certain head and neck cancer patients. Career development sessions offered to early-career scientists during the meeting. Organized by Minorities in Cancer Research, Women in Cancer Research, and the Associate Member Council, these sessions used formal programs and informal networking opportunities to support emerging generations of cancer researchers. 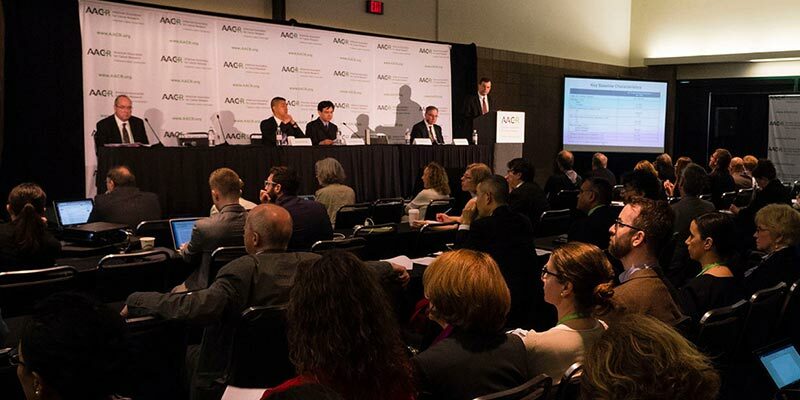 Reporters learned about the latest developments in cancer research at three press conferences during the AACR Annual Meeting 2016. 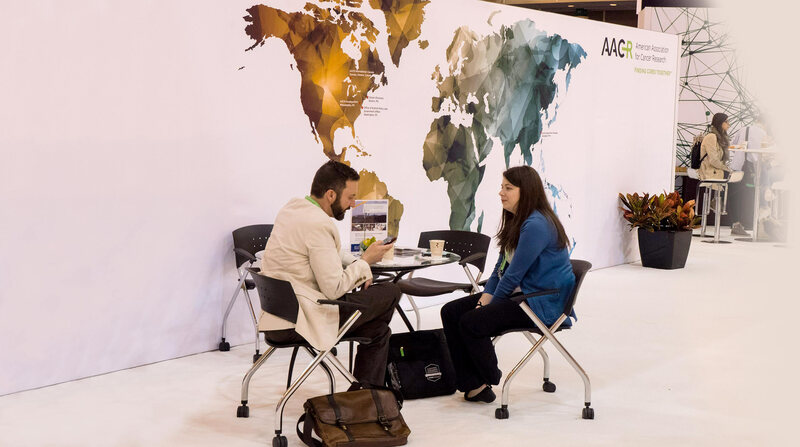 News from the AACR Annual Meeting 2016 spread around the world, as the authoritative cancer research meeting produced a significant amount of news coverage and social media activity. Reporters registered to cover the meeting. Tweets mentioned the Annual Meeting. Unique users joined the social media conversation. 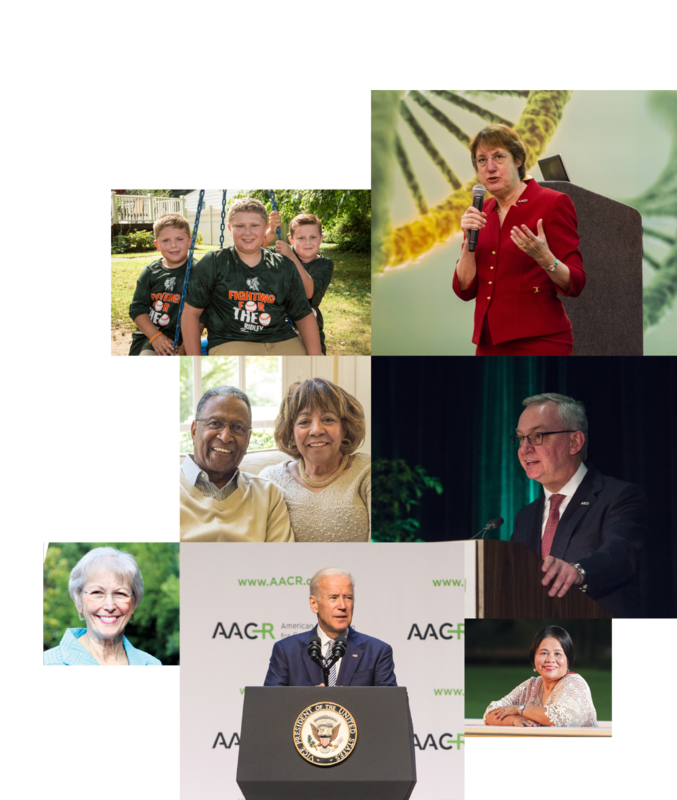 Scientists, clinicians, patients, and advocates participated in the third annual ABC News Twitter chat from the Annual Meeting—including Program Committee Chair Scott A. Armstrong, MD, PhD, and AACR Board of Directors member George D. Demetri, MD. 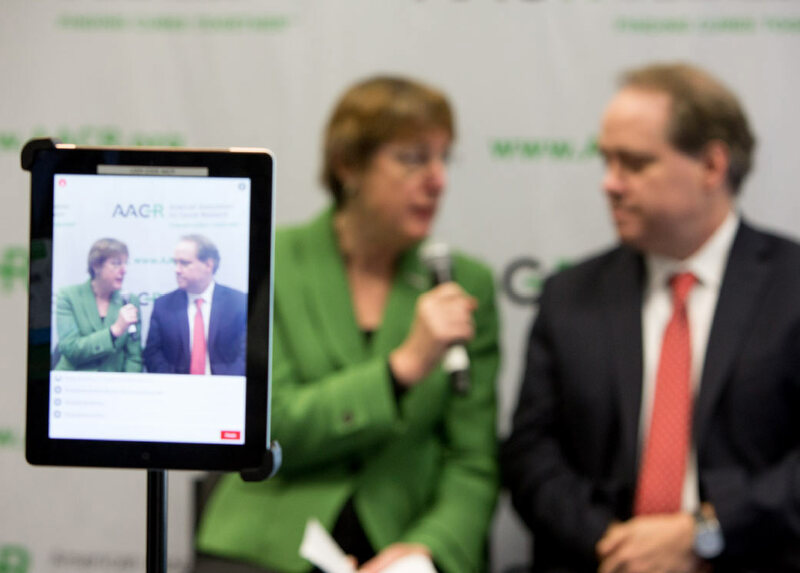 People viewed the AACR’s Facebook Live broadcasts during the Annual Meeting. 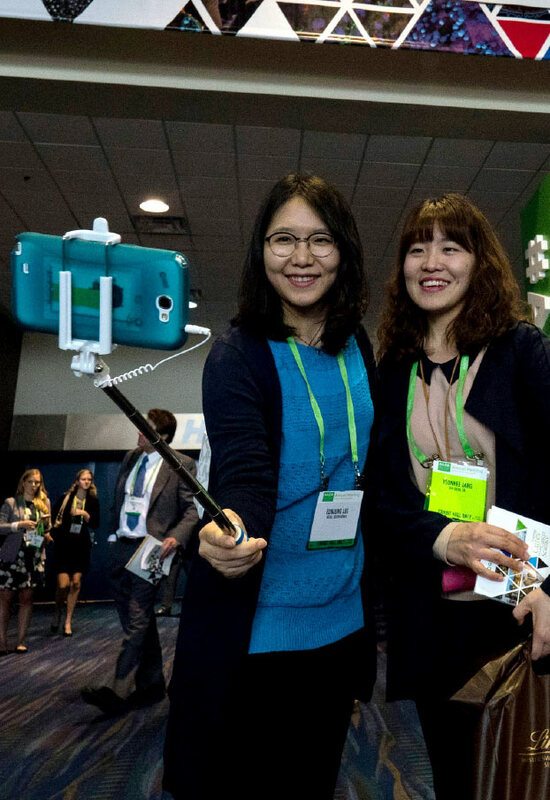 Less than two weeks after Facebook launched its new live-streaming application, the AACR premiered two live broadcasts. 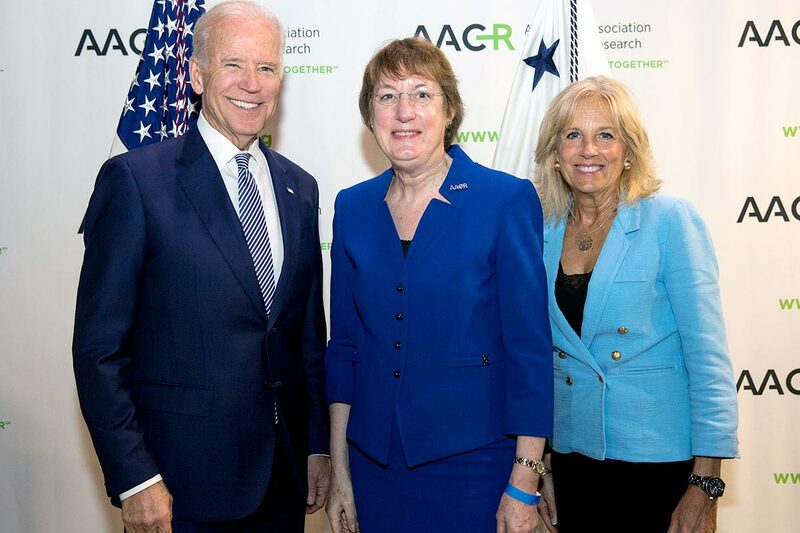 In addition to Vice President Biden’s address to meeting attendees, the AACR live-streamed interviews with cancer experts on the topic of “Accelerating Progress against Cancer.” Moderated by AACR President Nancy Davidson, MD, the broadcast featured Program Committee Chair Scott A. Armstrong, MD, PhD, and AACR Board of Directors members George D. Demetri, MD, and Drew M. Pardoll, MD, PhD.